Cindy and Leslie Lieurance and I went on May 20 to the Finca Bayano rice farm near Chepo (Eastern Panama). Water levels are still low and water birds were sparsely distributed. Quality made up for quantity. 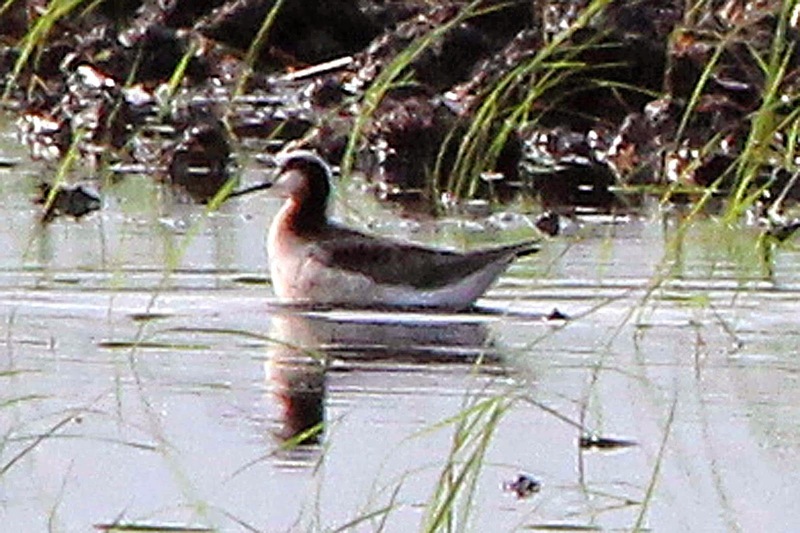 Cindy's sharp eye located a group of 3 Wilson's Phalaropes way off in a shallow wash. There was one smart female coming into breeding plumage, while the other two were still in non-breeding plumage. 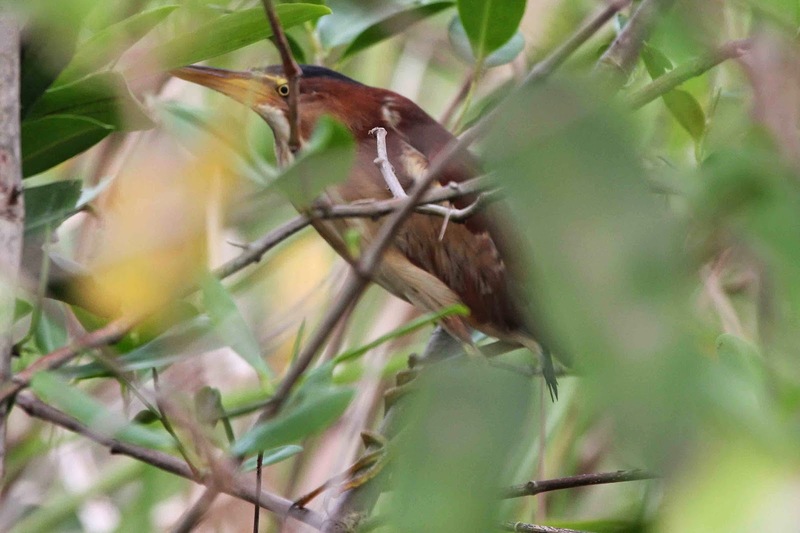 This bird is rarely seen in Panama during the Fall migration and is exceedingly rare in Spring (only one previous Spring record?). 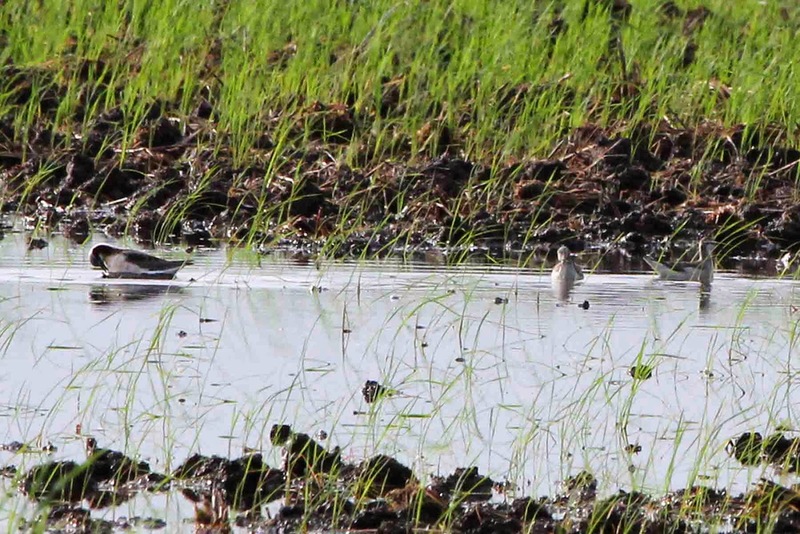 Nearby was a Pectoral Sandpiper, also rare in Spring, especially in mid-May. Leslie and I were walking a rough track through the undeveloped marsh area when a small heron flushed from a drainage ditch in front of us and landed in a clump of bushes. 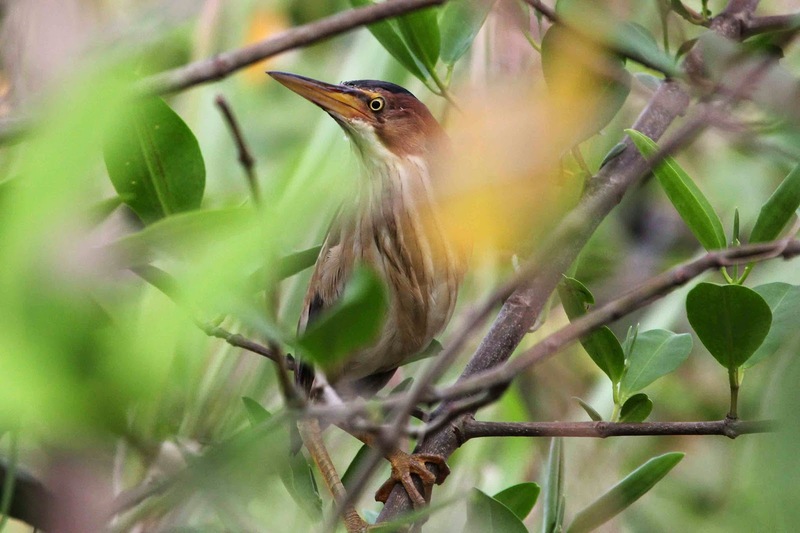 It turned out to be a most unusually tame Least Bittern that stayed put for several minutes just a few feet away from us. It is clearly a particularly handsome individual of the resident race (erythromelas) that is darker and has more rufous sides than migrants from the north. 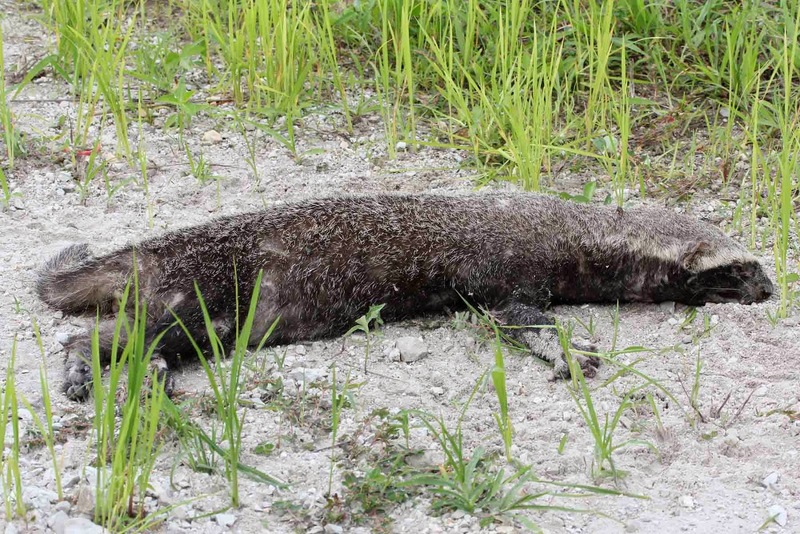 To top off the rare sightings of the day, we came across a dead Greater Grison. 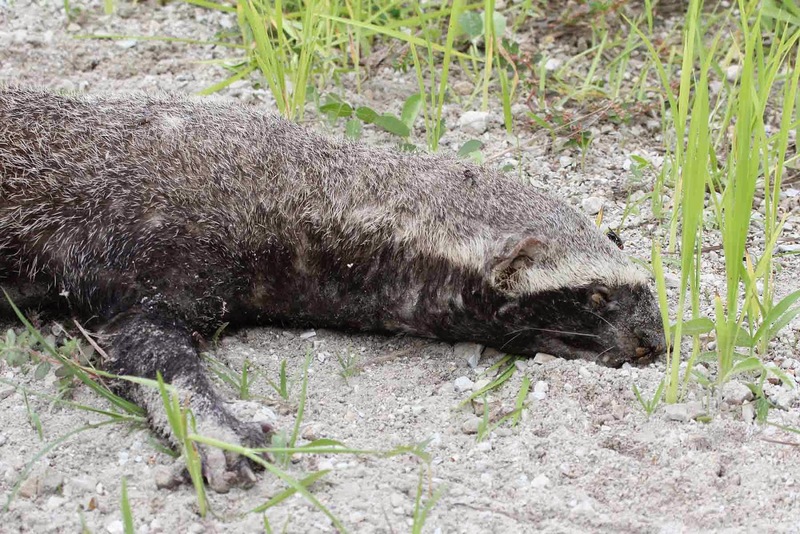 This mustelid mammal is widespread but extremely rarely seen alive or dead. This is only the second time I have seen one, the first being one that crossed the Panamerican Highway (and lived to tell the tale) just west of Pacora at least 20 years ago.